Happy 13th anniversary, Walt Disney Studios Park! The Twilight Zone Tower of Terror at Disney’s Hollywood Studios – Walt Disney World turns 20 today. It inspired 3 other versions of this classic attraction: in Disney California Adventure, Tokyo Disney Sea and Walt Disney Studios Park. To honor this occasion, here’s a a photo set of the Walt Disney World version. Notice any differences compared to our Paris version? Happy 42nd anniversary Walt Disney World! Today marks the 42nd anniversary of Walt Disney World which opened on 1 October 1971. Happy 15th Anniversary Disney’s Animal Kingdom! Disney’s Animal Kingdom is youngest theme park at Walt Disney World Resort in Florida that opened on 22 April 1998. 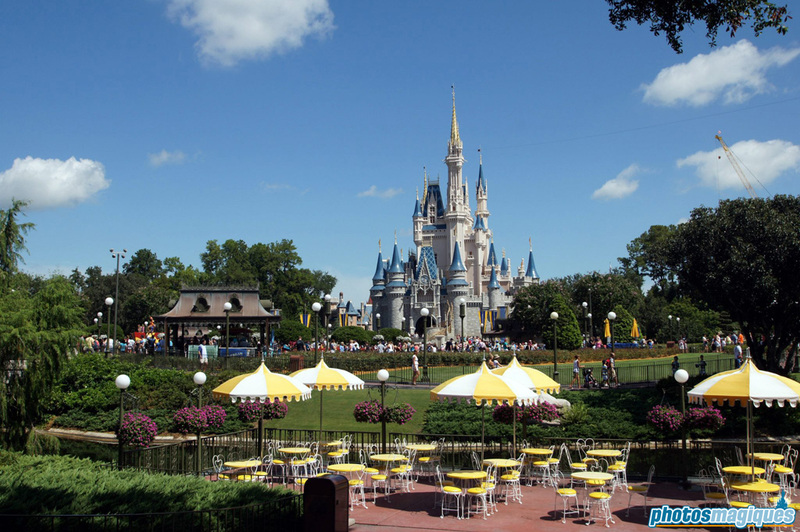 It is the largest Disney theme park in the world, although it doesn’t feature that many attractions. Most of the park is made of themed landscaping and animal enclosures. DinoLand U.S.A.: one of the least popular areas, due to the poorly themed Chester and Hester’s Dino-Rama fun fair. A new area based on the world of Avatar is currently being developed and will replace Camp Minnie-Mickey. A land based on mythical creatures like dragons was quickly abandoned after the park opened, although some references still exist throughout the park. In honor of Disney’s Animal Kingdom’s Anniversary, browse through these photos from the Photos Magiques archives. Journey into your Imagination is an attraction at Walt Disney World’s Epcot. Guests are carried in Omnimover ride vehicles through various scenes that evoke imagination. Since it’s opening in 1983, there have been 3 different versions of the attraction. It’s the original version, once created by Tony Baxter himself, that’s the most popular. Disney purists are lobbying for years to bring this attraction back to its original state. In 2002 they kinda succeeded; only 2 years after its second make-over, which omitted the popular Figment character from the first version, fan out-cry was so loud that the character was re-introduced. The classic song “One Little Spark” written by the Sherman Brothers is still part of the attraction since 1983. In our first blog post covering the 20th Anniversary press launch, we’ll have a look at the opening ceremony that took place on Town Square on Saturday morning. The Disneyland Paris Ambassadors Regis and Osvaldo along with Mickey and Minnie Mouse in their all new anniversary outfits, welcomed the winner of The Voice Kids Holland: Fabienne Bergmans. Fabienne, age 14, performed the new Disney parade song “Magic Everywhere” live for the press, fans and guests. Cast Members of different attractions, restaurants and shops from all over Disneyland Park entered the background with signs representing European flags, along with a big group of Disney characters. After the excellent performance by Fabienne, Goofy brought Hollywood star Salma Hayek in the spotlight, whom expressed her excitement about Disneyland Paris and its birthday – in French, Spanish and English! She cut the ribbon with a large pair of scissors, brought on stage by Chip and Dale, causing a burst of streamers and confetti on Main Street, U.S.A.
Invitees and press where then welcomed on the purple carpet by Disney characters and even well known Disneyland Paris faces like the Ambassadors and Vasile Sirli, Musical Director of the Resort.